At the peak of her career in the 1930s, Marlene Dietrich was the screen's highest-paid actress; moreover, she was also the very essence of cinematic eroticism, a beguiling creature whose almost supernatural allure established her among film's most enduring icons. While immensely sensual, Dietrich's persona was also strangely androgynous; her fondness for masculine attire -- suits, top hats, and the like -- not only spawned a fashion craze, it also created an added dimension of sexual ambiguity which served to make her even more magnetic. Born Maria Magdalena Dietrich outside of Berlin on December 27, 1901, she was the daughter of a Royal Prussian Police lieutenant. As a child, she studied the violin, and later tenured at the Deutsche Theaterschule. She made her film debut with a brief role in 1923's Der Kleine Napoleon, followed by a more substantial performance in Tragodie der Liebe; she later married the picture's casting director, Rudolf Sieber. After a series of other tiny roles, including an appearance in G.W. Pabst's 1924 effort Die Freudlose Gasse, Dietrich briefly retired; by 1926, however, she was back onscreen in Manion Lescaut, later followed by Alexander Korda's Madame Wuenscht Keine Kinder. After returning to the stage, Dietrich resumed her film career, typically cast as a coquettish socialite; still, she remained better known as a live performer, enjoying great success singing the songs of Mischa Spoliansky in a popular revue. Then, according to legend, director Josef von Sternberg claimed to have discovered her appearing in the cabaret Zwei Kravatten, and cast her in his 1930 film Der Blaue Engel; even before the picture premiered, von Sternberg offered a rough cut to his American studio Paramount, who signed her for Morocco, where she played a cabaret singer romancing both Adolph Menjou and Gary Cooper. Both films premiered in New York almost simultaneously, and overnight Dietrich was a star. Paramount signed her to a more long-term contract, at a cost of 125,000 dollars per film and with von Sternberg, who had become her lover, in the director's seat of each. The studio, in an unprecedented five-million-dollar publicity blitz, marketed her as a rival to Greta Garbo's supremacy; upon learning that Garbo was starring as Mata Hari, Paramount cast Dietrich as a spy in 1931's Dishonored in response. The follow-up, 1932's Shanghai Express, was Dietrich and von Sternberg's biggest American success. With Cary Grant, she then starred in Blonde Venus, but when the picture did not meet studio expectations, Paramount decided to separate the star from her director. Not only their working relationship was in a state of flux -- von Sternberg's wife unsuccessfully sued Dietrich (who had left her husband behind in Germany) for "alienation of affection" and libel. For Rouben Mamoulian, she starred in 1933's The Song of Songs amidst a flurry of rumors that she was on the verge of returning to Germany - no less than Adolf Hitler himself had ordered her to come back. However, Dietrich remained in the States, and her films were consequently banned in her homeland. Instead, she played Catherine the Grea} in von Sternberg's 1934 epic The Scarlet Empress; it was a financial disaster, as was their follow-up, the lavish The Devil Is a Woman. In its wake, von Sternberg announced he had taken Dietrich as far as he could, and begged off of future projects. A much-relieved Paramount set about finding her projects which would be more marketable, if less opulent. The first was the 1936 romantic comedy Desire, directed by Ernst Lubitsch. It was a hit, with all indications pointing to comedy as the best direction for Dietrich's career to take. Again with Lubitsch, she began work on I Loved a Soldier, but after a few days, production was halted after she refused to continue following a number of changes to the script. Instead, Dietrich next starred in the Technicolor remake of The Garden of Allah, followed by Korda's Knight Without Armour. Reuniting with Lubitsch, she headlined 1937's Angel, but again actress and director frequently feuded. Her offscreen reputation continued to worsen when it was revealed that director Mitchell Leisen had refused to work with her on French Without Tears. Combined with diminishing box-office returns, Paramount agreed to buy Dietrich out of her remaining contract. She remained a critical favorite, but audiences clearly did not like her. A number of projects were rumored to be under consideration, but she did not appear again in films for over two years. For less than 50,000 dollars, Dietrich agreed to co-star with James Stewart in the 1939 Western satire Destry Rides Again. The picture was a surprise smash, and with her career seemingly resuscitated, Universal signed her to a contract. The follow-up, 1940's Seven Sinners, was also a hit, but Rene Clair's 1941 effort The Flame of New Orleans lacked distinction. A series of disappointments -- The Lady Is Willing, The Spoilers, and Pittsburgh -- followed in 1942, with Dietrich reportedly so disheartened with her work that she considered retirement. Instead, she mounted a series of lengthy tours entertaining wartime troops before returning to films in 1944's Follow the Boys, followed by Kismet. She and Jean Gabin were next scheduled to star in Marcel Carne's Les Portes de la Nuit, but both stars balked at their roles and exited the project; the media was incensed -- at the time, Carne was the most highly respected director in French cinema -- and when Dietrich and Gabin both agreed to appear in 1946's Martin Roumagnac, reviews were unkind. She starred in Golden Earrings, followed in 1948 by Billy Wilder's A Foreign Affair. When her daughter gave birth to a child soon after, Dietrich was declared "the world's most glamorous grandmother." Although her box-office stature had long remained diminished, Dietrich was still, irrefutably, a star; for all of her notorious behavior and apparent disinterest in filmmaking, she needed Hollywood as badly as it needed her -- the studios wanted her fame, and she wanted their hefty paychecks. For Alfred Hitchcock, Dietrich starred in 1950's Stage Fright and a year later reunited with Stewart in No Highway in the Sky. Fritz Lang's Rancho Notorious followed in 1952, but it was to be Dietrich's final film for over four years. A cameo in Around the World in 80 Days announced her return to movies, with starring turns in The Monte Carlo Story and Witness for the Prosecution arriving a year later. 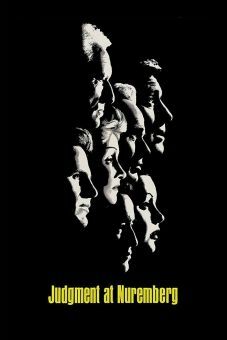 After briefly appearing in Orson Welles' masterful Touch of Evil in 1958, Dietrich again disappeared from screens for a three-year stretch, resurfacing in 1961's Judgment at Nuremberg. The 1964 feature Paris When It Sizzles was Dietrich's final movie appearance for over a decade. Instead she toured the world, even scoring a major European hit single with "Where Have All the Flowers Gone?" 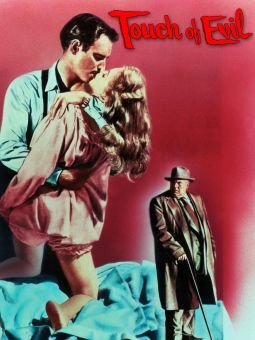 As the years went on, however, a long-standing bout with drinking continued to accelerate, and she often appeared inebriated during performances; after falling off of the stage and suffering a compound fracture of the leg, she retired from the cabaret circuit, making one last film, 1978's Schoener Gigolo, Armer Gigolo. A brief return to music was announced, but outside of a few performances, Dietrich was largely inactive from the early '80s on. In 1984, she agreed to produce a documentary portrait, Marlene, and while submitting to recorded interviews, she demanded not to be photographed. In a final nod to Garbo, she spent the last decade of her life in almost total seclusion in her Paris apartment and was bed-ridden throughout the majority of her final years; Dietrich died on May 6, 1992. She was 90. As a child, she aspired to be a violinist, a dream dashed by a wrist injury. Studied acting at Max Reinhardt's Deutsche Theaterschule. Her first American film was Morocco, released in 1930. 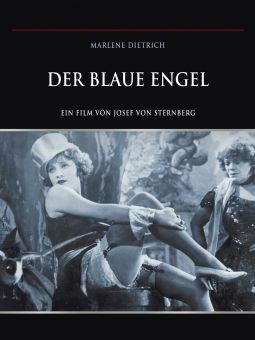 Her professional and personal relationship with director Josef von Sternberg began when he directed her in 1930's The Blue Angel. Became an American citizen on March 6, 1937. Her films were banned in Germany in 1937 after her refusal to return there to make films. Made German-language anti-Nazi broadcasts and entertained troops in the U.S. during WWII. Was awarded the U.S. Medal of Freedom in 1947 and France's Chevalier de la Légion d'Honneur in 1950.